What’s the good word? Is the Living Biblically TV show cancelled or renewed for a second season on CBS? The television vulture is watching all the latest TV cancellation and renewal news, so this page is the place to track the status of Living Biblically, season two. Bookmark it, or subscribe for the latest updates. Remember, the television vulture is watching your shows. Are you? A sitcom airing on the CBS television network, Living Biblically stars Jay R. Ferguson, Lindsey Kraft, Ian Gomez, David Krumholtz, Tony Rock, and Camryn Manheim. Based on the AJ Jacobs book, The Year of Living Biblically, the comedy centers on Chip Curry (Ferguson), a film critic for a New York City newspaper. After the death of his best friend, Chip decides to live a better life, through strict adherence to biblical precepts. Fortunately, he has the support of his good-humored allies: his wife Leslie (Kraft); the “God Squad” (Gomez and Krumholtz); and his colleagues (Manheim and Rock). As he sets out on his journey, Chip wonders if the results will be of biblical proportions. The first season of Living Biblically averaged a 0.50 rating in the 18-49 demographic and 3.02 million viewers. Find out how Living Biblically stacks up against the other CBS TV shows. Living Biblically has been cancelled so there won’t be a second season. Could it be revived someday? Stay tuned for further updates. Will CBS cancel or renew Living Biblically for season two? The ratings have been very lackluster and CBS has high standards for their sitcoms’ ratings. I don’t see this show getting renewed at this point. I’ll keep an eye on the Nielsens and update this page with breaking developments. Subscribe for free Living Biblically cancellation or renewal alerts. 4/19/18 Status Update: CBS has cancelled Living Biblically after eight episodes. Details here. 6/4/2018 Status Update: Although CBS originally planned to burn off the remaining season one episodes this summer, it has now been removed from the schedule. Details here. TV show ratings are still important. Follow Living Biblically‘s weekly ups and downs. 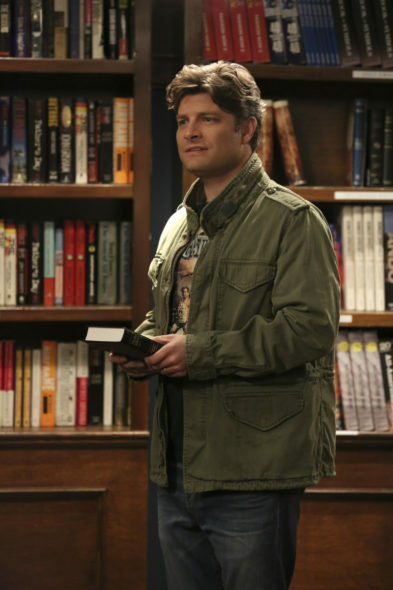 Find more Living Biblically TV series news or other CBS TV show news. What do you think? Should CBS have cancelled its Living Biblically TV show? Do you think it should have been renewed for season two? I hope someone will see the light to renew this sitcom. It is different, funny, entertaining. It just needs a second chance, more time to prove itself to more people. I agree this is one of the best shows of this year and I can really see Johnny Galecki’ hart and sole poured into this project – the characters are so funny this show deserves another try – come on dudes if they can bring Rosanne back and renew it after all that crap that went on why not Living Bionically! Wehn will the networks learn that mocking Catholics/Christianity is a bad business decision and a ratings repellent? Considering their annual track record: never! I liked it but want to see it a few episodes to make a final decision.